(Natural News) Osteoarthritis is one of the common degenerative diseases seen in older people. In Ayurvedic medicine, osteoarthritis is treated with yoga basti. A study published in the International Journal of Ayurvedic Medicine provided scientific evidence on the use of yoga basti in improving the symptoms of osteoarthritis. For the study, researchers from India looked at the effects of yoga basti on osteoarthritis by recruiting 30 people with osteoarthritis between 40 and 70 years old. They then had the participants undergo yoga basti treatment every morning for a period of eight days. After the treatment with yoga basti, the researchers observed improvements in the symptoms of osteoarthritis. The treatment reduced pain, swelling, tenderness, and crepitus in patients. It also eased stiffness of the knee joint and relieved fatigue. In addition, it greatly improved the walking speed of the participants. Yoga basti was also found to be safe and effective as the participants did not experience any side effects and complications – all responded to the treatment positively. Based on the findings of the study, the researchers concluded that yoga basti is a safe and effective alternative treatment for osteoarthritis as it reduces pain, swelling, tenderness, and crepitus, and improves the patients’ ability to walk. Osteoarthritis, sometimes referred to as a degenerative joint disease or “wear and tear” arthritis, is the most common form of arthritis. In the U.S., osteoarthritis affects more than 30 million adults. In most cases, osteoarthritis affects the hands, hips, and knees. This disease causes the cartilage and bones within a joint to break down. It develops slowly and gets worse over time, causing pain, stiffness, and swelling. Eventually, it can lead to disability. 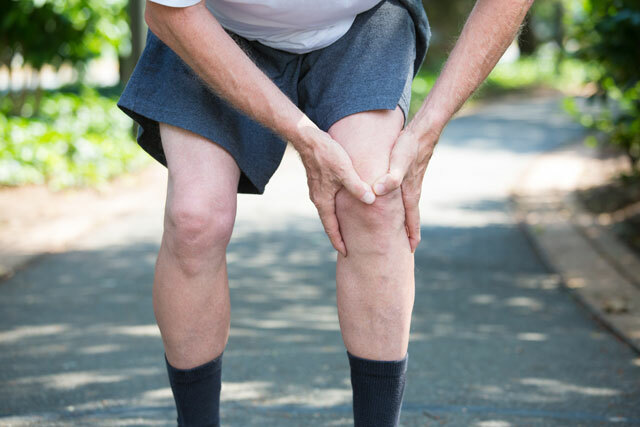 The signs and symptoms of osteoarthritis include pain, stiffness, decreased range of motion, and swelling. People with joint injury and those who are obese are at a greater risk of developing osteoarthritis. The risk of developing this disease also increases as you age. Women are more likely to develop osteoarthritis than men, especially after the age of 50. Join physical activity programs: It is recommended that you exercise at least 150 minutes each week or 30 minutes a day for five days. Walking, swimming, or biking can be done as these are moderate-intensity and low-impact. However, for those who are unsure which exercises are safe, they can join physical activity programs. These programs can help them reduce pain and disability related to arthritis, enhance mood, and improve their ability to move. Classes are often offered and conducted in parks and community centers. Engage in a self-management education class: Joining a self-management class can help improve your understanding of how arthritis affects lives. It can also help boost your confidence in managing symptoms and living well. Lose weight: Losing weight, particularly in people who are overweight or obese, can help reduce pressure in joints, especially weight-bearing joints like the hips and knees. Achieving and maintaining a healthy weight can ease pain, improve function, and hamper the progression of osteoarthritis. Read more news stories and studies on alternative osteoarthritis treatments, like yoga basti, by going to AlternativeMedicine.news.